Finding the best shampoo for your oily hair can be a challenging process. Especially since there are so many different shampoo brands available on the market. 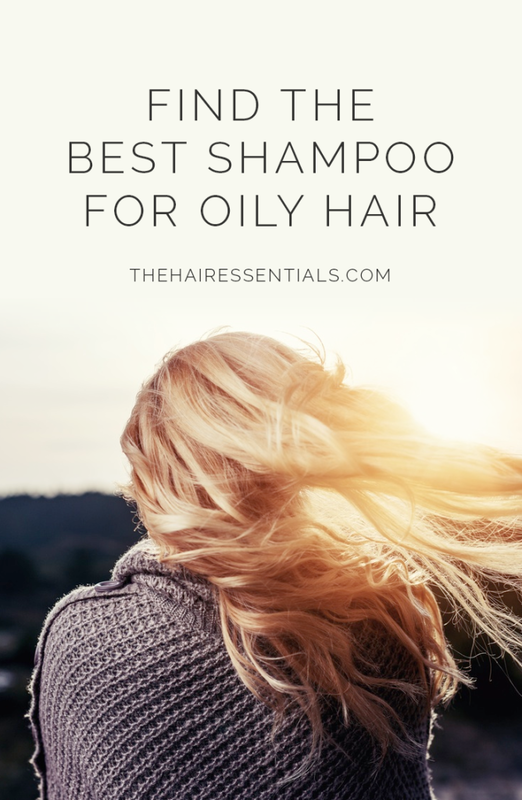 When buying a shampoo to treat the overproduction of oil in your hair it is important to choose brands that are specifically made for oily hair. To help you in your search for the best shampoo for oily hair we have compiled a list of best sellers below. Frequent shampooing – Contrary to popular belief, washing your oily hair daily is not only not good for your hair but can actually make it worse. This is because every time you wash your hair you strip your hair of its natural sebum. Your body responds in a panic by replacing the stripped away sebum and the oil is unleashed. The more you wash your hair, the more oil your scalp produces, and the bigger your problem becomes. Pollution – Every day your hair comes in contact with high levels of smoke, dirt and dust which makes the sebaceous glands produce more sebum, which makes the dirt and sweat stick to the scalp even more, which will lead to even more sebum production. Hormonal imbalance – Hormonal issues can lead to excess sebum production in the scalp. During puberty it is not uncommon for teenagers to have oily hair because of increased hormones. If you have greasy hair as an adult it might be the birth control pills you are taking. Pregnancy is also a leading cause for sebum overproduction. Stress – When a person is stressed, the level of the body’s stress hormone rises. This in turn causes an increase in oil production, which can lead to oily hair. Life-changing evens such as surgery or childbirth can also cause sebum overproduction. Medical condition – If none of our shampoo recommendations help you control your oily hair, you might need to see a doctor for further evaluation. Seborrhaeic dermatitis and Psoriasis are two of the most common medical conditions and can only be treated by a professional. Both are usually accompanied by dandruff flakes and yellow or red oily patches on the scalp. 1. Wash your hair every other day – Wash your hair every other day with a good shampoo specifically made for oily hair (see below for recommendations). During the first couple of weeks your hair may still look oily in between washes because your scalp is still used to producing more oil. However, do not give up. Continue with this routine and things will fall into balance. 2. Don’t use too much shampoo – A little goes a long way. Using to much shampoo results in oil overproduction. 3. Ditch the conditioner – If you wash your hair every other day your body’s natural oils that are sufficient conditioner. Adding more conditioner will only make the hair greasier. 4. Don’t use shampoo with harsh chemicals – Shampoo’s with harsh chemicals, such as sodium laurel sulfate, are too strong for your hair. They remove grease so well that they cause your oil glands to overcompensate for the oil loss. 5. Shorter hair style – Longer hair is more difficult to maintain and to control grease. If you feel comfortable with a shorter hair style, go for it. 6. Rinse you hair thoroughly to avoid residue – Shampoo residue will irritate your scalp and stimulate oil production. After shampooing, rinse your hair thoroughly to avoid residue on your hair. 7. Hands off your hair – Avoid touching your hair with your hands. The oils on your hands will only make it greasier. 8. Healthy diet – A diet rich in protein and iron will keep hair strong and healthy. Also try to include food rich in omega 3 fatty acids, such as fish and nuts, to keep your hair nourished and shiny. This #1 Best Seller by Maple Holistics is a miracle in a bottle and by far the best shampoo for oily hair. It maintains moisture control by utilizing natural componets which cleanse the hair of excess moisture, balance sebum (natural oil in hair), stimulate the cell renewal of hair follicles and replenish natural oils to the hair in moderation. The shampoo is also free of harsh chemicals, such as sulfate, that could potentially irritate your scalp even more. Maple Holistics believe in their product so much that they back it by a 100% Money Back Guarantee. So if for whatever reason you are not satisfied with the product, you will get a full refund, no questions asked. The Organics Hair Care Shampoo by Desert Essence is a gentle but effective cleansing system and keeps your hair oil free and clean. The high quality tea tree oil and lemon peel extract in the shampoo help remove excess oil and dirt and provides antiseptic qualities. With regular use your hair will be more manageable and feel softer than ever. Organics Shampoo is certified to NSF Organic Standard and is free of harmful chemicals. It is hard to find a shampoo as good as Shampoo Two, or any Paul Mitchell for that matter. It comes to no surprise that professional hair salons swear by his products. Its color safe formula is excellent for oily hair, it removes build up and leaves locks squeaky clean without drying it. The light citrus smell is a bonus and very pleasant to the senses. We simply love it. This Shampoo from the Bioxine Series helps not only with oily hair but also hair loss. According to Biota the secret for the effectiveness of their shampoo lies in their herbal complex Bioxsine. The herbal complex is dermatologist tested combination of herbal extracts that includes essential vitamins, minerals and essential fatty acids that nourishes the scalp to encourage stronger, thicker and fuller hair. I am no scientist here but we can definitely tell you that we saw very positive results after only a few uses. If you are not only fighting greasy hair but also hair loss we highly recommend this product. Head & Shoulders is a trusted brand and provides good quality products for a low price. If you are on a budget and can’t afford the more high end options above, we recommend giving the Citrus Breeze Shampoo a try. Their formula is very gentle and can help relieve irritation and reduce redness caused from prior use of bad quality shampoos. Many of their customers are very happy with the results and got rid of their oily hair for good. This organics anti- hair loss shampoo is one of the best shampoos in the market having natural preservatives in it derived from plant based extracts. It has 100% natural preservative formula with broad spectrum DHT blockers no sulphates, no and no chemical preservatives. By the use of best organic shampoo for hair loss you are going to support healthy scalp promoting good environment for hair follicles and cell growth. Hey Holly, if you have tried going without conditioner then maybe check out Desert Essence Lemon Tea Tree Conditioner or Paul Mitchell Tea Tree Conditioner (if you buy it on amazon, make sure you buy it from them and not from one of the other sellers so you don’t get a cheap knockoff like some of the negative reviewers did). I love both of them but anything with tea tree in it should help. Tea tree oil is miracle not only for oily hair but a lot of other stuff too. May I ask what conditioner you have been using until now?